Eastern China is a world unto its own. It’s rich in history, with some towns going back 6,000 years. 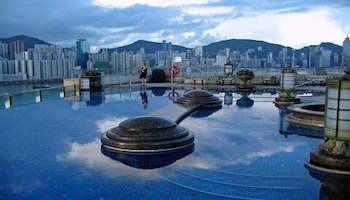 It has an ambiance that is designed to soothe and relax the soul. 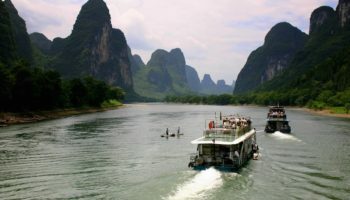 From picturesque water towns criss-crossed by canals filled with slow-moving water to spectacular mountain vistas, east China is a delight to all your senses. 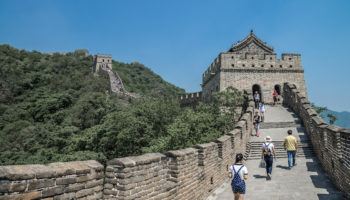 Once you’ve visited here, you’ll understand why some of the most visited tourist destinations in China can be found in this region. 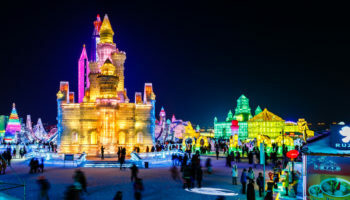 Qingdao is a pretty resort city in Shandong province on the Yellow Sea. It’s a green city with pretty parks and the largest bathing beach in China. Because it was once a German concession, the older area of town has cobblestone streets and buildings that would fit right in in the old country. If you like beer, Qingdao is the place to drink it. Tsingtao (an old name for Qingdao) is located here; it’s China’s second largest brewery. You’ll want to see the pavilion at Zhan Chao beer because it’s the brewery’s logo. A huge red sculpture at May Fourth Square dominates the cityscape. 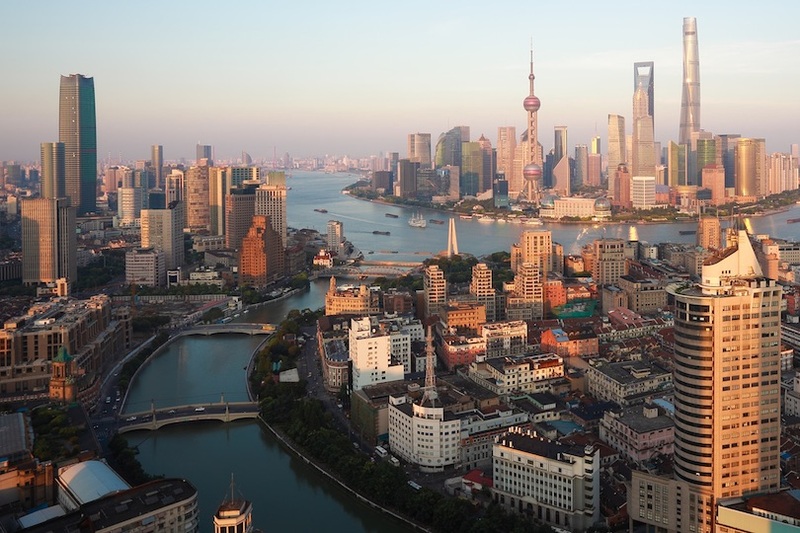 A visit to a water town is simply a must for anyone visiting Shanghai and its environs. 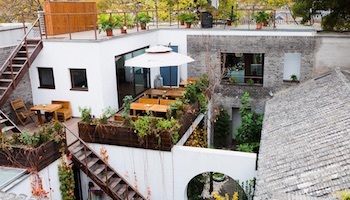 Just 140 km (87 miles) from Shanghai Wuzhen is a good choice since it’s a typical water town. Wuzhen is a pretty town, with black, white and grey stone houses and blue flagstone lanes. This small town is very picturesque with many bridges crossing the canals. Be on the lookout for the Bridge within a Bridge where two bridges come together, each visible through the arches of the other. You’ll travel under bridges when you take a cruise through the canals where you might see elderly women doing laundry. Mount Putuo, located on an island in the East China Sea, is a site important to Chinese Buddhism. 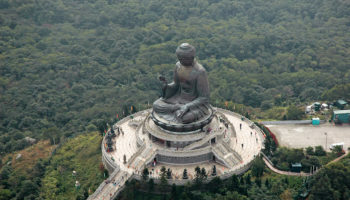 Known as Putuoshan in Chinese, it’s one of Buddhism’s four sacred mountains; it is a popular pilgrimage destination. Temples galore can be found on the island, though only about 30 are considered major temples, including the 10th century Puji Temple and Fayu Temple, the island’s second largest. If you get tired of visiting temples, Putuo has a couple of nice beaches, Hundred Step and Thousand Step. You can get to Putuo by ferry or, since bridges now connect Shanghai and Ningbo with Putuo, by bus. If you visit Xitang, expect to travel through this water town by – what else! – water. That’s because nine rivers cross through the city. Water, not streets, is the best way to get around the older part of town. This picturesque town, with its well-preserved Ming and Qing dynasties buildings, is best known for its covered corridor. This covered walkway runs along the river for more than a half-mile and protects pedestrians from the elements. Trivia buffs: If you’ve seen Mission Impossible III you’ve seen Xitang since it’s featured in the closing minutes. If you want to impress the locals, refer to Mount Huang by its Chinese name, Huangshan (Yellow Mountain). Huangshan is one of the most scenic mountains in China; it’s widely photographed and the subject of many paintings. Mount Huang is not just one mountain; rather it’s a range of mountains with 72 peaks. The main ones are Lotus, Celestial and Bright. If you’re an early riser, take a cable car to one of the summits to see a glorious sunrise. If the sun doesn’t shine that day, you can look down at the Sea of Clouds, which lends a different kind of beauty to the landscape. Zhouzhuang, a water town 30 km (18 miles) southeast of Suzhou, is considered one of the top tourist attractions in east China. You’ll definitely want to ride a gondola through the canals to see well-preserved ancient houses with weeping willow trees hanging over them. You’ll likely pass under the Twin Bridges (Shule and Yang an), the most famous of the 14 bridges that span the rivers; the bridges are considered symbols of the town. You might also go under the Fu’an Bridge, an arched bridge with two towers that are now tea rooms. The Chengxu Taoist Temple is a top Taoist temple in the region. Centuries ago, Yangzhou, near Nanjing, was one of the wealthiest cities in China. 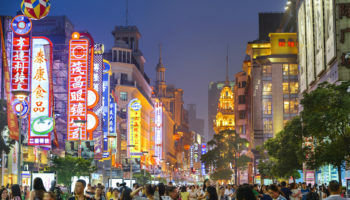 Yangzhou is another scenic water town, where the Yangtze River and the Grand Canal, which connects Beijing and Hangzhou, cross. 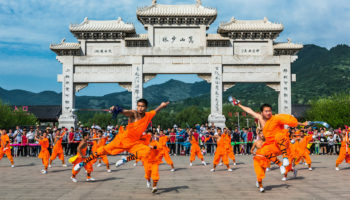 Besides the Grand Canal, attractions include the 5th century Daming Temple that was rebuilt after the Taiping Rebellion, and Slender West Lake that imitate the buildings of the more famous West Lake in Hangzhou. You’ll also not want to miss Hnanlinyuan Museum, which is the tomb of an early ruler; it contains a coffin on wheels. Besides merchant families, Yangzhou was famous for its scholars, so check out the scholar’s garden, He Yuan. 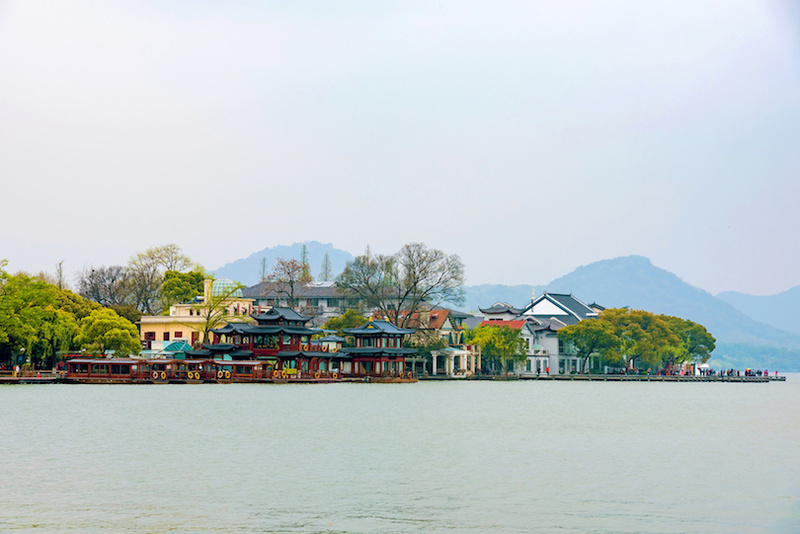 There are many West Lakes inching, but the most famous can be found in Hangzhou, A boat ride on this very scenic lake to see numerous cultural and historical sites is a must. Hangzhou is the eastern terminus of the Grand Canal that starts 1100 km (700 miles) away in Beijing. The city has numerous temples, including one to Confucius, that are near the lake. You can get to Hangzhou by train or plane from Shanghai, but across the Hangzhou Bay Bridge is a unique way to get there. The 35-km (22-mile) long bridge shortened the travel time between the two cities considerably, making day trips more feasible. Suzhou is undoubtedly the most famous water town in China. At one time, it was one of the largest cities in the world. This may be hard to believe today, as the old town area is a picture of serenity, with typical Chinese houses lining the canals that are crossed by even more picturesque bridges. Not only is Suzhou the silk capital of China, it’s equally famous for its gardens, including Lingering Garden, an important classical garden, and Humble Administrator’s Garden that took 18 years and an emperor’s ransom in silver to build. Take a walk along the ancient Ping Jiang Road that’s made of hand cut stones. There are three things (at least!) 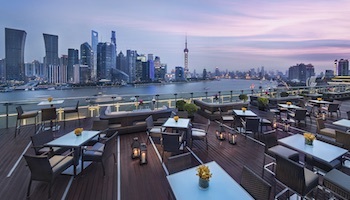 you simply must do when you visit Shanghai, the largest city in China. First, you must visit the fabulous Shanghai Museum with thousands of artifacts spanning thousands of years of Chinese history. 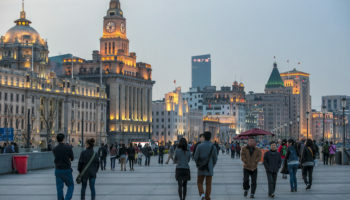 Second, you must walk along the Bund, the most famous walk in town. 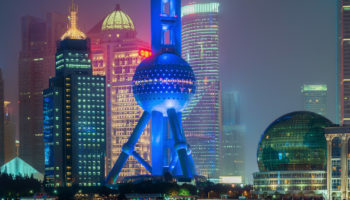 The Bund rises above the Huangpu River filled with ocean-going vessels; if you can, try to take a cruise at night when Shanghai is lit up like a Christmas tree. 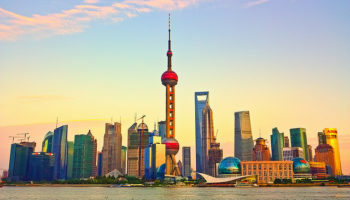 Third, you must visit the Oriental Pearl Tower, a Shanghai landmark that reaches 468 meters (1,535 feet) into the sky, offering outstanding views of the city and environs.